But that’s not all in the Birmingham Metro, several websites have named Birmingham as a top travel destination for 2013! The website Jetsetter.com named Birmingham as one of the six top travel destination on The Today Show. And the website Livability.com named Birmingham as a top 10 travel destination for spring break! Did you know that Birmingham is a top food city as well? Several restaurants such as Highlands Bar and Grill, Hot and Hot Fish Club, Slice Pizza and Brew, Good People Brewing Company, The Original Pancake House, the new Todd English PUB, and others have won many awards such as ones from the James Beard Foundation. We can show the guests to some great food! Outside of the convention, there are plenty of things you can do outdoors. 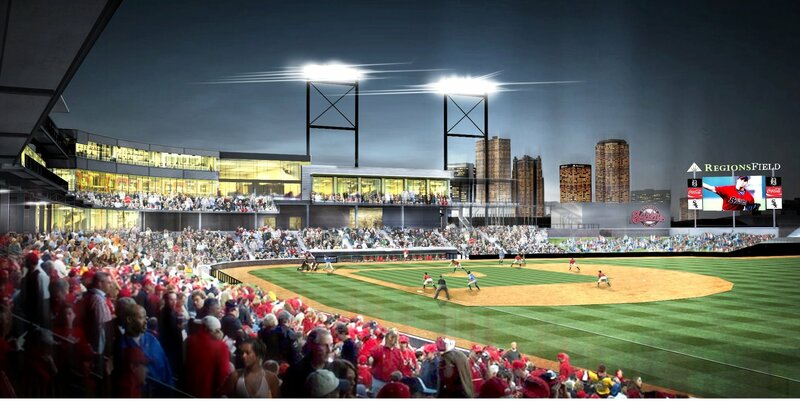 The new Regions Field in downtown Birmingham will be open. You can take a break and catch a game at a wonderful ballpark! 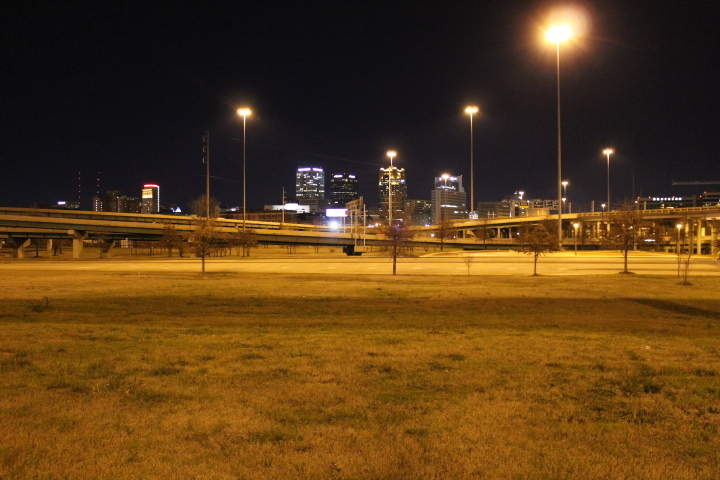 Across the street will be Railroad Park which has been praised by many people. You could also travel a short distance outside of Birmingham and discover some great outdoor activities. You could go to one of the many lakes surrounding Birmingham and have a great time on the water. The Coldwater Mountain Bike Trails in Anniston are expanding. So if you are a cyclist, you need to try these trails out! 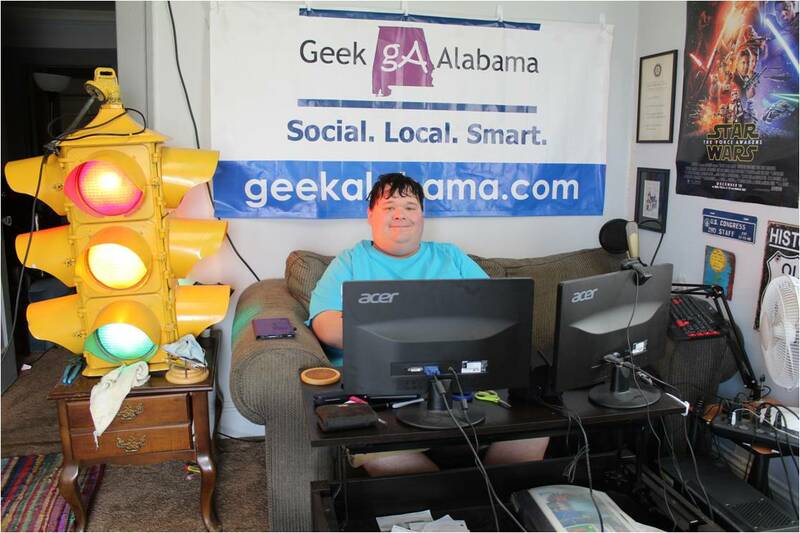 If you decide to come to the Alabama Phoenix Festival, there is a great chance you will be profiled here on Geek Alabama! Right now, the editor and publisher Nathan Young (that’s me!) is in the middle of a potential TV deal! I really do hope I can announce a new TV show during the Alabama Phoenix Festival! This would be huge for me, Geek Alabama, Alabama Phoenix Festival, and the state of Alabama! I am hoping I get a chance to host a panel or two this year, especially in the big room! Since I am sending this post to the organizers, I will update you on that possibility! I know the Alabama Phoenix Festival is looking for more guests and attendees to come as well! You could say they are quickly growing as one of top geek/nerd conventions in the country! If you are a big name in the TV, animation, book, comic book, science, writing, or geek/nerd world. Give the Alabama Phoenix Festival a look! It’s will be held on Memorial Day Weekend in Birmingham Alabama!